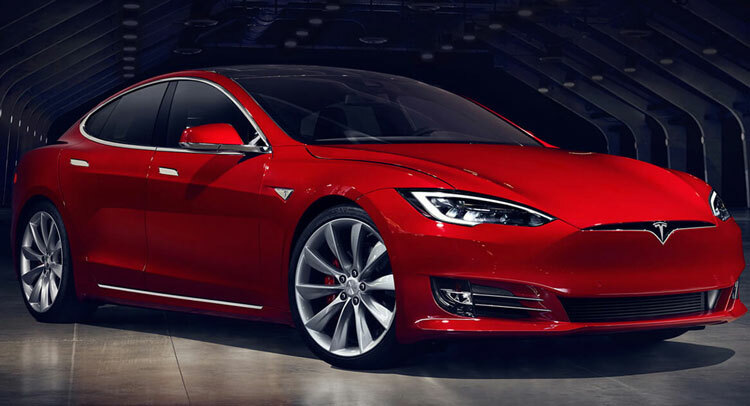 Aside from the visual and tech tweaks, the base version of the recently refreshed Model S has dropped the 70 kWh battery in favor of a 75 kWh one. However, Tesla has just made the announcement. 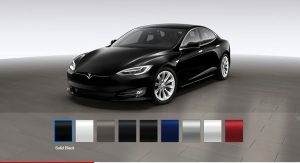 According to TheVerge, unlocking the extra juice will be made over the air, since the hardware is already in place, with a software that will give the car an extra 19 miles (31 km) of range, on top of the 234 miles (377 km) of the RWD Model S 70, to 253 miles (407 km). 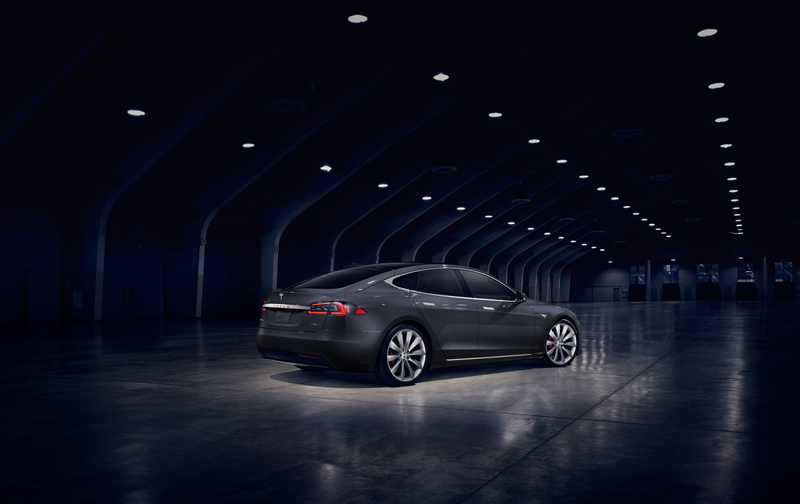 On the AWD Model S 70D, the range will increase from 240 miles (386 km) to 259 miles (417 km). 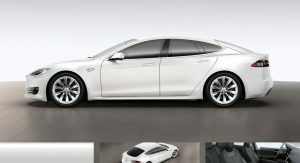 Unlocking the 5 kWh will set you back for $3,250 once you have purchased the entry-level 70/70D, but order it that way from the start and you will have to pay $3,000. 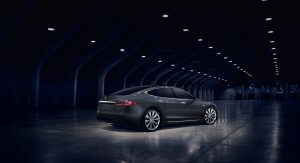 However, customers who bought a facelifted Model S 70/70D between April 11 and May 5 will get the extra juice free of charge. 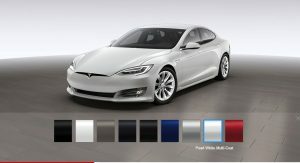 Moreover, Tesla will swap the “70” badge for a “75” one next time the car is taken in for servicing. 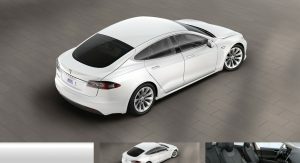 This isn’t the first time Tesla has offered a battery software upgrade: three years ago, the Model S 40 kWh was actually equipped with “locked” 60 kWh batteries that were limited. For the upgrade, the automaker asked $8,500. So you buy something and then you have to pay more to fully use it. As much as I admire Tesla for its feats, this is a pathetic effort to milk the cow. Have you ever bought DLC? Same deal. Dj. You’ve misunderstood what Tesla have done. 1. They have streamlined their production by providing less hardware options. 2. They have added value to the car by making it retrospectively upgradeable. The customer doesn’t pay for the hardware unless they want it. My understanding is that customers with these models have the option to pay $250 now to upgrade or $3,000 later. If we assume that the hardware cost $200 to Tesla, only 6.6% of these cars would need to be upgraded later for Tesla to cover their cost of speculating by installing the additional battery capacity. The same technique was applied to the Auto Pilot Software. On this basis are you telling me that you would rather your car didnt have the ability to be upgraded later if it didnt cost you anything for this option? Sorry, I don’t see it that way. What I understand is that you pay for some hardware that is partially disabled unless you pay more later. Like the DLC example Status mentioned above, which is similarly disappointing. It’s not like they increase the performance by tuning the engine for an additional cost, which would make sense (and they ironically did for free with ludicrous mode). It’s that the extra battery capacity is already THERE but they don’t let you use it. This is where the Tesla’s definition as a software company as much as a hardware company comes in to play. It doesnt cost a software company anything more when you upgrade to a premium version of their software, it is just a case of an update or entering in an unlock key. If you do the calculations it is quite clear how it makes financial sense for Tesla to subsidise the cost of the extra battery power in the car. They make a huge profit if only 10% of users upgrade later. If you want I’m happy to demonstrate an example that shows how this works. Assuming that Tesla is in fact subsidising the cost of the battery do you still take issue with them putting it in at no cost to yourself? 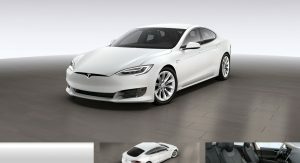 So what you are basically saying is that a Model S 70kWh includes a 75kWh battery, but you only paying for a 70kWh battery and Tesla lose money in every car they sell (or at least lose money in the battery part) hoping that you will either choose a beefier model or upgrade later, paying a significant amount? I still find this unacceptable. 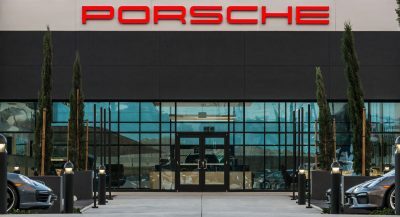 If they managed to streamline the battery production lines and benefit from producing 75kWh parts massively, good for them; Scrap the 70kWh models and build all cars as 75kWh models with no extra charge for the clients. That’s the sensible thing to do. Not build 75kWh and secretly sell it as 70kWh in hope that people will pay to enable this. And what about the electricity bill? How much juice need the 70kWh models to charge? 70kWh or 75kWh? Can anyone be sure about this? Luckily the 5kWh difference is minor; The earlier 40 to 60kWh was outrageous: Imagine buying a petrol car with a 60lt tank, you can fill it up to 60lt of fuel but when you burn 40 of them the car stops. Sure, you still have 20lt left in the tank, it’s yours, but you can’t use it. Unless you pay the manufacturer! Some customers want to save money. This strategy allows them to do that whilst future proofing and giving them an option. The same applied for Auto Pilot. Some people either wanted to save money or they were not sure they would get any use out of Auto Pilot. However, the hardware was installed regardless. Again there was streamlining benefits to Tesla, but also they can profit from it in the same way as I described before. The end user has a future proofed car so that they can subscribe to autopilot when they are ready. It also maintains the value of their car as when they come to sell it, it has the hardware to do the job. I much prefer to subscribe to a setup where the hardware is future proofed and has the ability to be upgraded. But i think we differ here. 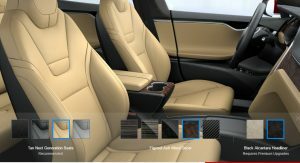 The more Tesla can make hardware like software the better and I applaud them for taking the enterprising solution that they have by taking the hit upfront so that customers can benefit later. 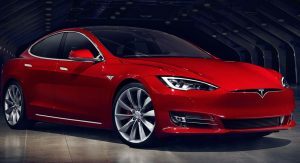 When AP was released there were a lot of people with older Model S’s that were upset that the hardware couldn’t be added retrospectively. I sort of see where you are coming from. Once you have something physical in your hand, it’s yours. But i find it impossible to answer the following question the way you do. We both go in to a Tesla store to buy a car without auto pilot for $75,000. We are both happy with our purchase but the sales man asks. 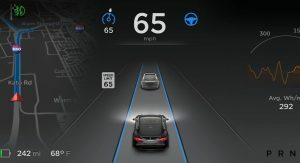 Would you like us to install the Autopilot hardware so that if you want it in future you can upgrade? We ask, how much will that cost me to have it installed now but not activated. He says nothing, it’s totally free, it just means you can pay for it later. I would say Yes and i struggle to imagine anyone saying otherwise. Ignore the fact that in this case a choice is given to us. Just focus on your actual answer. But you can’t ignore that we are given the choice! No one says no to a free option! The correct question would rather be like: “look guys, this car has some sensors that one day will be used for an autopilot. Could be tomorrow, could be in 10 years. But they can be removed to save n $”. This way it’s fair for everyone! Now, imagine the sales guy saying to you: this car has a 75kWh battery but only 70kWh is available. You can pay some extra $$$ to activate the extra 5kWh now or later. Doesn’t it sound weird?! Meanwhile, IMHO you can’t compare extra battery juice (which is a simple extension to what you already have paid, know and use) to the AP (which is a super advanced technology). AP is cool, is the future, etc, BUT, it’s not core functionality. Besides, AP came out only when it was ready to come out due to testing etc, while some extra battery requires no testing, it’s available from the day you bought the car, but Tesla chose to HIDE it from the customer. This is where I disagree with their strategy. I agree, the concept feels a little alien, but it’s actually a matter of perception. This is actually an interesting article which touches on the human phycology of the matter. When you boil everything down, the net result is that the end user is getting more, not less. You’ve rightly pointed out that no one says no to a free option. So if you take that stance, if everyone is going to say yes to a free option, why bother giving them the option and just provide it as standard. You then fall back to your perception that if you remove the free option, everyone saves money which is not true. 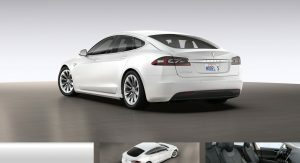 The inclusion of the extra 5kw is subsidized by Tesla. They are taking a strategic risk. By giving people the opportunity to upgrade later they make a greater profit than if the user simply chose to upgrade at the time of purchase. They believe that someone today who only wants to pay for 70kwh might want to upgrade later or they might want to sell it to someone who wants to upgrade. So they invest now to profit more later. So whilst I agree that AP and extra KW is not directly comparable, the concept is the only thing that matters. Everything has a cost, if it’s software then it was the cost of development not so much the replication of it. If it’s hardware then you have development and production costs. At the end of the day, it doesn’t really matter if Tesla gives you free hardware, software or both. What matters is that they have paid for something that allows you to walk away with a car that is more future proofed than had they not paid for it. 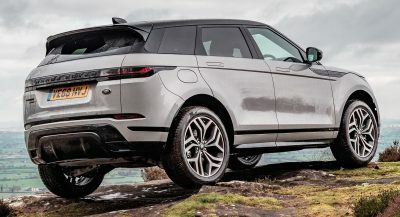 If you choose not to upgrade then the car still has some additional value because the next person you sell it on to might want to, but even then you’ve not lost out. If you choose to upgrade then happy days, you pay a premium than had you upgraded at the time of purchase, but you are paying a lot less than having to buy a completely new battery. 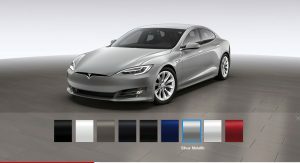 If you accept the premise that Tesla subsidies the hardware on the basis that they make a greater profit later, then you must accept that removing the free option will do nothing to the cost of the car. If it does nothing to the cost of the car then it boils down to users being asked if they want a free option. So your only legitimate gripe is that the user is not being given the option to choose if they want this free option or not even though you agree that no one turns down a free option. Which seems like a fairly minor issue at the end of the day does it not? My apologies for my slow replies, I’m not getting notifications that you have responded for some reason and carscoops keep wanting to approve my posts for some reason. Yes! The article is spot on. But I believe there is still a fundamental difference between every potential upgrade option and what is Tesla doing here. 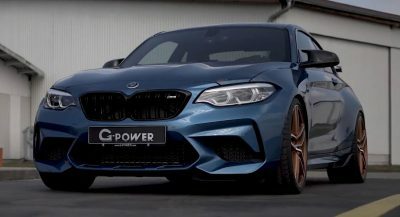 You see, when you upgrade the ECU on your combustion engine car, some engineers have remapped it and tested it for performance and efficiency; when you buy a game DLC, someone has written the extra code and designed the graphics. But an extra battery capacity needs none of these, no effort at all. The battery is there (and it’s there mainly because people have bought a lot of Teslas and the company can now benefit from scale economies), you just use it. No engineer has to do anything to improve your car. I mean, we see petrol cars with the exact same engine in 2 or 3 flavors of performance. The legendary VAG 1.8T could output from 150 to 225bhp, but still, everytime they changed something they had to work on these figures to ensure everything is fine. What would I do then? If there is a 70kWh for say 70K $ and a 75kWh for 73K $ (which cost me exactly the same to build, as they are essentially the exact same car), I’d scrap the 70 model and sell the 75 for 71,5k $. Everyone would be happy and I’d still earn an extra 1,5K $ from every car. so now its basically a paid app with in-app purchases? I received a email today, regarding the upgrade to 75KWh for additional £2500. There are no additional batteries or hardware just a “UNLOCK KEY”. I am looking forward to get my delivery but this email has spoilt it. This option is not for few hundred pound it is £208 for each extra mile. The frustrating part of this is if i placed my order between April and 5 MAY. I would have had the upgrade for free. So in another words I would lose £2500 in two weeks if i activate this option, as I placed the order end of March. NOT HAPPY!